A one-month workbook and planner to help you start and finish your writing project. It is set up with a blank month you can start it immediately! Perfect for NaNoWriMo! This planner includes two bonus weeks, for a total of 42 days. This is not a how-to book on craft. 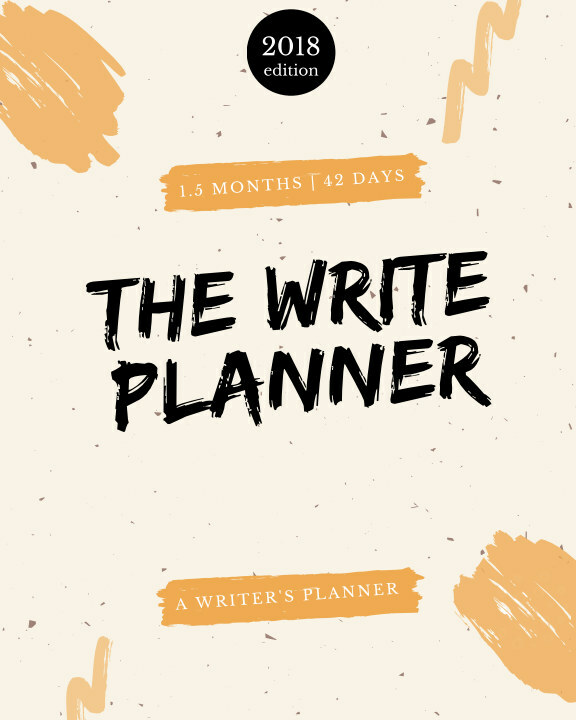 Rather, this planner will help you figure out what is blocking your path to productive writing sessions and it will help you maximize your potential. Decide what your writing goals are, set them up, and start checking them off. If you are ready for your best writing month yet get the Write Planner today. This is the economy version of the standard Write Planner that you can find in my shop. The only difference between these two are the quality of the print and the quality of the paper. For more information and resources head over to sedunaway.com! Law Librarian by day. Foodie, book nerd, and knitter by night.